Tyre Retreaders Retreading Plant operates Monday to Friday at their Treffer’s Road, Christchurch factory. At present, around 750 tyres are retread each week, with the capacity to produce even more due to the addition of 2 new large curing chambers. Customer’s tyres follow a 5 hour in total hands-on process (excludes overhead railing time) on the road of rebuild and restoration. First the tyre is checked thoroughly for all damage with nails or debris removed and repaired. Buffing of the remaining tread is removed with a shower of rubber shavings baring down to the casing. Dimensions are checked to ensure the correct contour of the tyre, size and pattern are copied. Once the surface is prepped, the rebuilding begins with an adhesive (cement) being applied before the uncured retread rubber. A curing rim and tube support the inflated pressurised tyre during the curing process within the chamber which reaches temperatures of 195 – 212 degrees. After an almost 4 hour process in the chamber, once cool enough to handle, tyres are taken out of their individual rims and checked ready for return to the client. 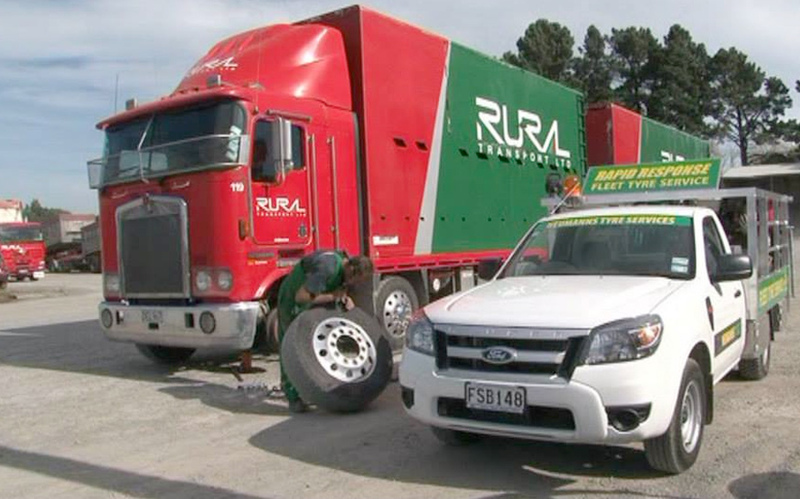 You may sight Rural Transport’s truck and trailer as it makes its way picking up and delivering retread tyres from Motueka right down to Invercargill. Our modern fleet of mobile service vehicles provide urgent Roadside Assistance 24 hours / 7 days a week. 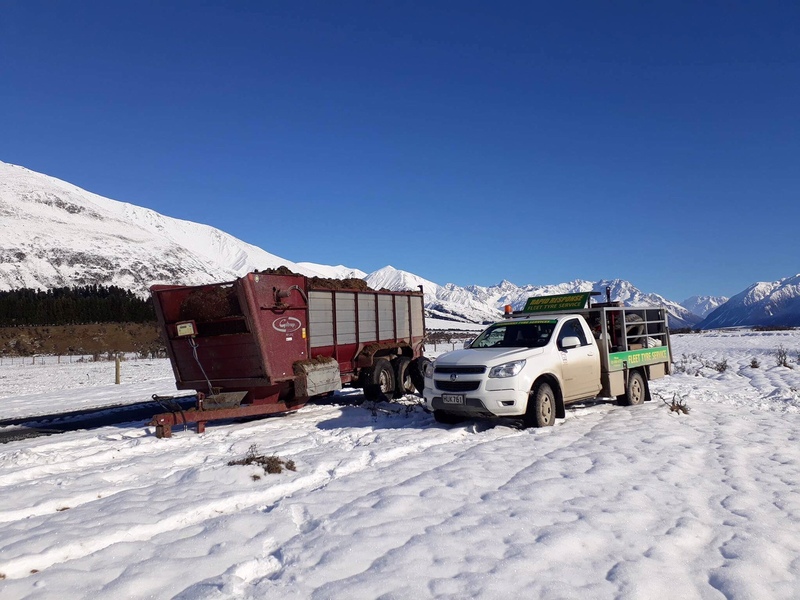 Being mobile means we can also perform organised service work in our Customers yards or out on the farm. Having service trucks with Hiab Cranes make light work of the heaviest tyres.